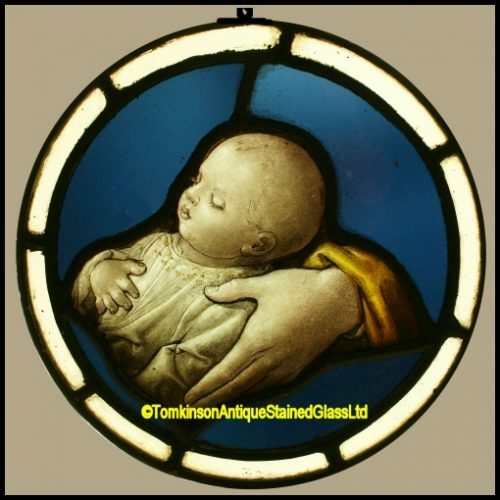 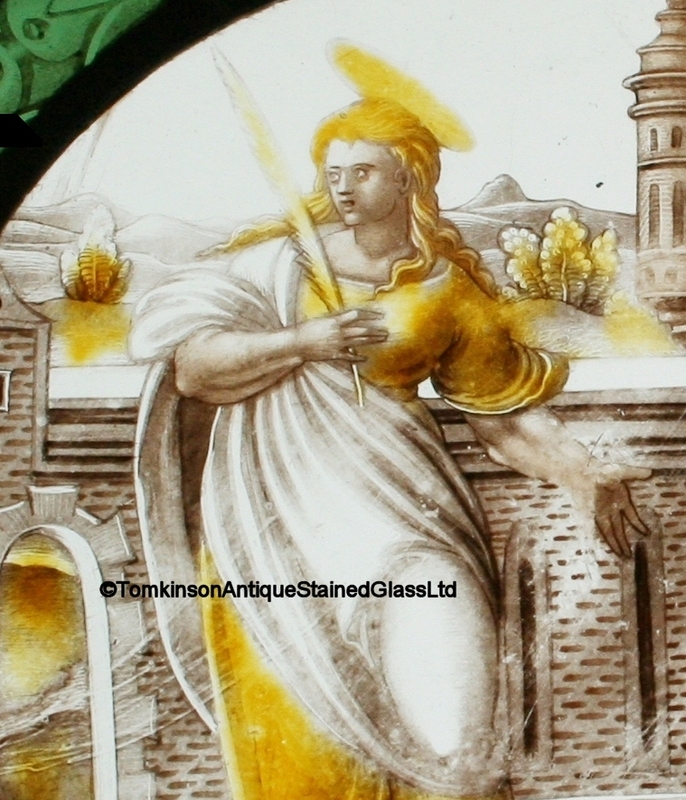 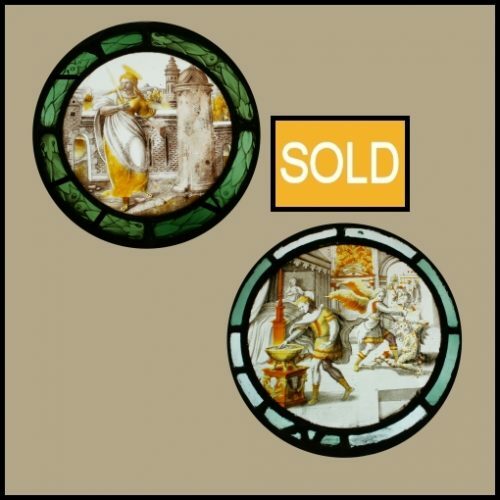 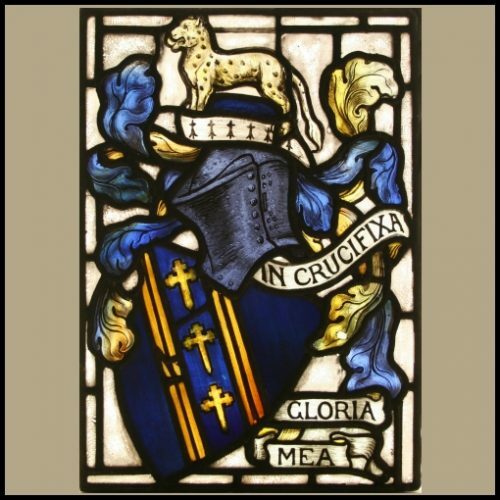 Two original 16th century hand painted stained glass roundels. 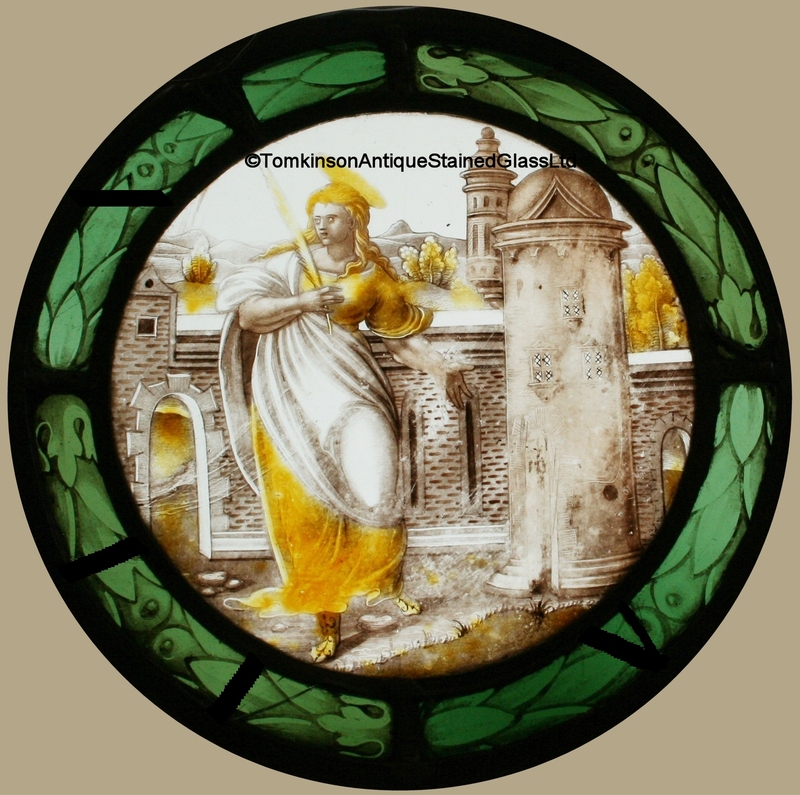 St Barbara standing next to a tower, her symbol, and a green laurel border. 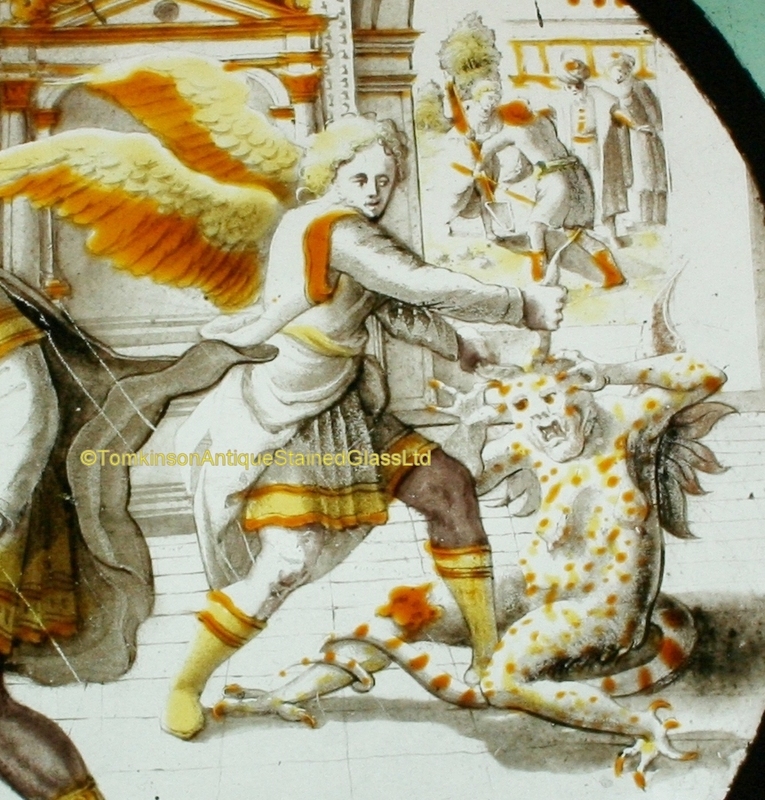 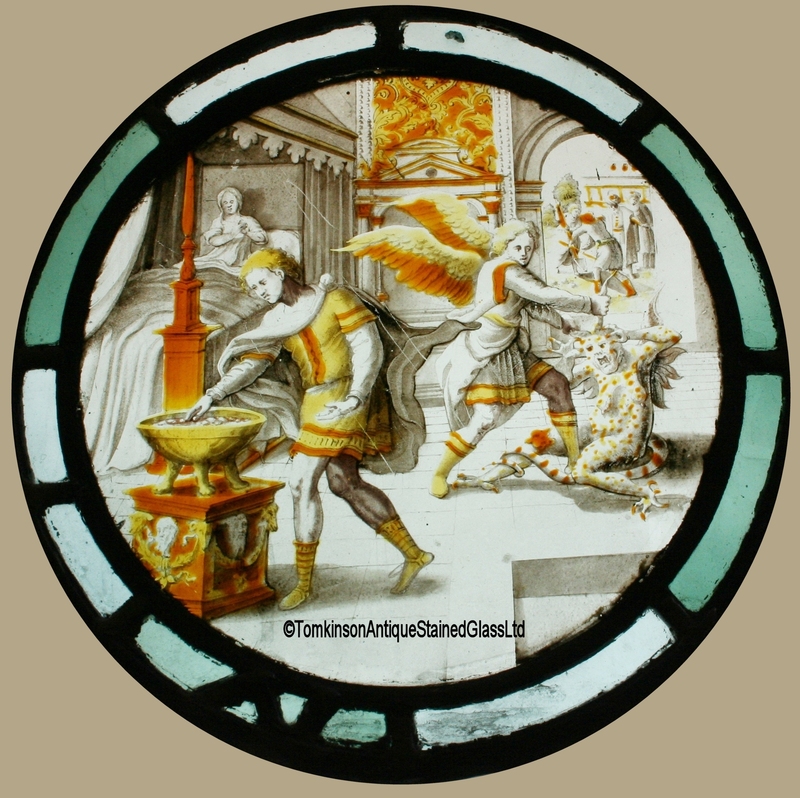 Second roundel depicts St Raphael fending off the devil from Tobias’s sick wife.